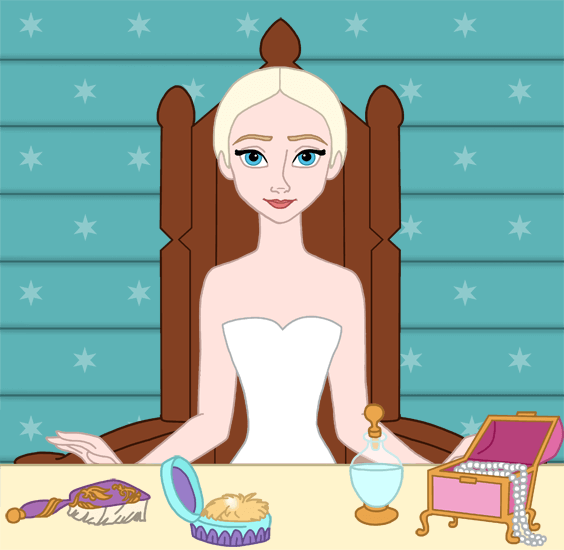 Dress up and make up Queen Elsa and style her hair! Mix and match hairstyles, dresses, crowns, earrings, necklaces and shades of lipstick and eye shadow. There are many different types of braids and buns: the fishtail braid, the French braid, the Dutch braid, the side bun (see #3), the high bun (see #6)... For her coronation, Elsa wore her hair up in a braided crown and bun (#2). Later, she wore her hair in a loose side French braid (#4).